A successful recruitment drive for tech employers in the North West of England is ready to relaunch. 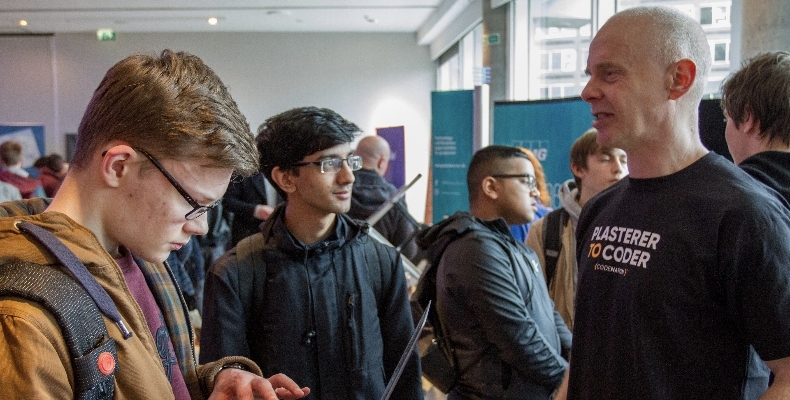 The annual Digital Skills Festival returns to Manchester in February 2019 to help find and connect the best young digital talent in the North West with some of the region’s biggest tech employers. Hosted by Manchester Digital, the five-day event runs from 4–8 February at locations across Manchester, and is the UK’s largest digital skills careers fair. The event, now in its seventh year, expects to connect 1500 students from schools, colleges, and universities across the North West with respected industry professionals from the technology sector. The growing tech industry in Manchester and the surrounding region is a boon to the area, but means that demand is outstripping supply in terms of digital talent. With a 30% vacancy rate in digital and tech roles across Greater Manchester, the region needs to focus on mining a rich stream of digital talent. Results of the 2019 Digital Skills Audit will be revealed at the festival’s launch event, taking place at the MSP Tech Incubator on 4 February. Last year’s Digital Skills Audit showed that more than a quarter (27%) of businesses in the North West had to turn down business as a result of not being able to find the right employees. The launch event will also set in motion the GM Digital Skills Programme, a free event for students and teachers to learn about the opportunities available through the programme over the next two years. The second day of the festival, 5 February, is home to the flagship event, Talent Day, where 40 of the North West’s biggest digital, tech and creative employers will be at the Principal Hotel, offering advice to students on how to break into the industry. Seminars and workshops will also take place throughout the day, providing information on various placement programmes and graduate intiatives in development, design, digital marketing, project management, and UX. Can classroom tech address the STEM shortage?